Inchcape Retail, part of the massive global automotive retailer Inchcape plc, is one of the leading franchised dealer groups in the UK. The company specialises in new and used cars from manufacturers such as Audi, Vauxhall and Nissan. 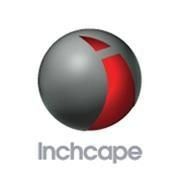 The Inchcape brand has more than 8,000 pre-owned, top branded vehicles for sale and run over 100 dealers. This gives you more choices and options to explore. Inchcape Retail dealerships offer a large range of brands and models for every kind of car enthusiast, through a network of centres that provide MOTs, servicing, and repairs, amongst other services. Throughout the years, the Inchcape business flourished and made a series of acquisitions. The growth of the company is reflected in its global aspirations. In 2007, Inchcape plc opened its first retail centre in China, and in 2016 they acquired a multi-country distribution business in South America. At Inchcape Retail, customers will find a wide variety of coupes, hatchbacks, convertibles, roadsters, saloons and estate models from an extensive range of manufacturers. They sell new and used cars, and have a variety of vans to purchase as well. On top of this, there’s luxury models from the likes of Jaguar, BMW and Mercedes-Benz; family vehicles from Volkswagen and Toyota; and sports cars from Porsche, Lexus and Audi. Inchcape Retail dealerships could help you buy the ideal vehicle you are looking for.